Sarah Decrea, a senior worker in our Northern team, was presented with the NAPCAN Play Your Part South Australia Individual Award at the Adelaide Oval during National Child Protection Week 2016. Sarah was acknowledged for her outstanding work in Ngartuitya, our Indigenous Children and Schooling Program. Sarah has redesigned a number of Relationships Australia SA children’s programs to be culturally appropriate and accessible to Aboriginal families in the Playford region. Alongside these programs she has developed the ‘Working Better with Nunga Kids,’ a professional development training day. Her willingness to assist non-Aboriginal workers build their understanding and confidently support Aboriginal children has made a positive difference to many families. Sarah is a proud Torres Strait Islander woman and she exemplifies the message of Play Your Part through her personal involvement in her community. “A lot of us know about how important the first three years are, but when we talk about ‘getting it right from the start’, the First Nations People, my people, got it right from the start,” said Sarah in her acceptance speech. “When there is trauma, there has to be healing. And it’s a time for healing for my people. Which means it’s time for people to embrace what we knew. It’s time for people to come and learn from us, what kept us so strong. 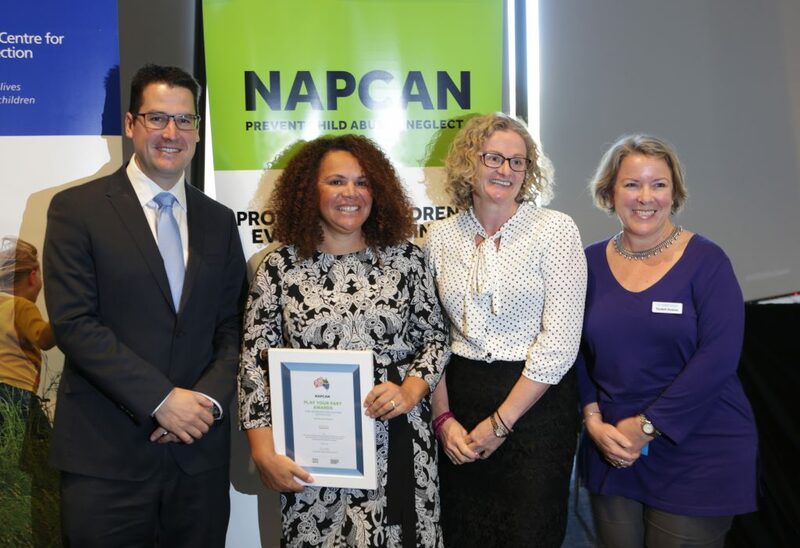 The NAPCAN Play Your Part Awards recognise inspiring prevention initiatives that promote the safety and wellbeing of children and young people started in 2012 and operate nationally during National Child Protection Week (4 September – 10 September). 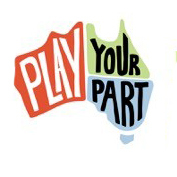 The Play Your Part Awards provide national recognition for individuals, communities and organisations who have played a part in creating safer communities for children and young people. This year’s Play Your Part Awards were emceed by Etienne Scheepers, Deputy Chief Executive of the Child Protection Department for Education and Child Development. Guest speakers included Senator the Hon Zed Seselja; the Hon Susan Close; Ms Amanda Shaw, Guardian for Children and Young People South Australia; Mr Simon Schrapel, Chief Executive, Uniting Communities; and Professor John Lynch, Professor of Epidemiology and Public Health at the University of Adelaide. View photos from the NAPCAN Awards here.